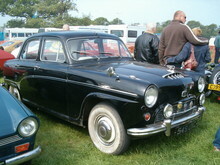 To replace the ageing A70 range Austin announced the A90 Westminster at the 1954 Motorshow alongside the similar looking, but smaller A40/A50 saloons. 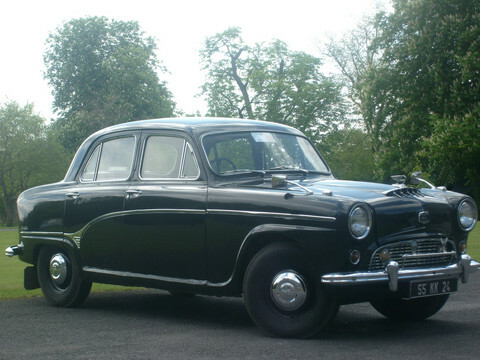 The A90 featured a 2639cc C-series six cylinder engine which produced 85bhp making this a powerful saloon aimed at executive buyers in particular. 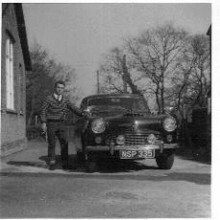 In 1956 the A90 Westminster became the A95 Westminster, with a longer body, again similar to the A50's replacement the A55. 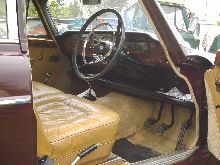 A Countryman estate car was also added to the range and overdrive or automatic gearboxes were available across the range. 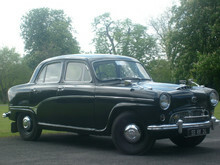 1956 also saw the arrival of an even more powerful and luxurious version added to the Westminster range, the A105. 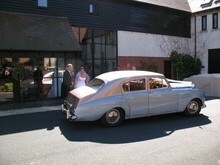 The A105 had twin carbs, whitewall tyres, two tone paint and better trim. 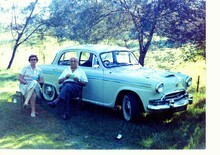 The range sold well until its Farina replacements arrived in 1959, over 55,000 cars had been produced by then.